No! 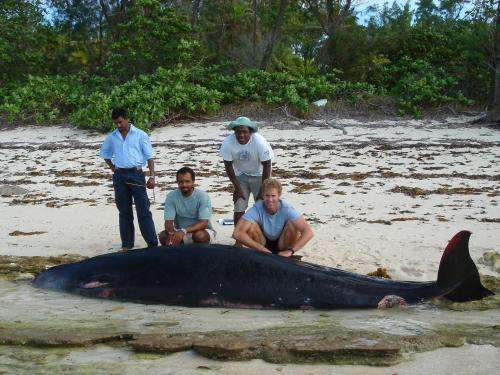 It's a bikini whale"
"Male specimen of Mesoplodon hotaula that washed up on Desroches Island in the Seychelles in 2009, whown with men formt eh siland." For God's sake, learn to spell. shown with men from the island. fingers got crossed up, so they tell me.